Below you can view all the homes for sale in the Winmore subdivision located in Chapel Hill North Carolina. Listings in Winmore are updated daily from data we receive from the Raleigh multiple listing service. To learn more about any of these homes or to receive custom notifications when a new property is listed for sale in Winmore, give us a call at 919-759-5770. Beautiful setting overlooking Village Green, walk to Chapel Hill HS, professional interior designer selected appointments, 4 Bedroom/3.5 bath home w/1st floor Bedroom/office w/full bath,10 ft ceiling 1st floor/9 ft 2nd fl,open plan,horizonal shape Fireplace w/remote,large granite island in kitchen,great cooking space,42" cabinets,backsplash,tile in all baths,plank flooring throughout 1st floor living space,Large bedrooms,large walk-in closet in master, custom drop zone,all wooden shelves in closets, pool, clubhouse, walking trails! MLS#2233153. 854. Close to Schools, UNC and Hospital. MLS#2232464. 649. Finished third floor for additional flexible use space. Energy efficient. MLS#2227969. 3639. Tremendous Value! Won't Last Long! MLS#2202669. 4381. 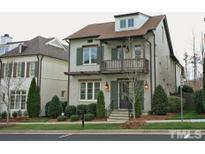 Location in beautiful Chapel Hill, great HERS rating and 1-2-10 yr warranty, conditioned crawl space foundation. MLS#2179945. 4303. 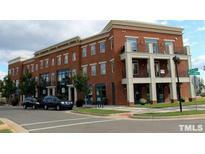 Location in beautiful Chapel Hill, great HERS rating and 1-2-10 yr warranty, conditioned crawl space foundation. MLS#2177163. 4303. Location in beautiful Chapel Hill, great HERS rating and 1-2-10 yr warranty, conditioned crawl space foundation. MLS#2177159. 4303. Location in beautiful Chapel Hill, great HERS rating and 1-2-10 yr warranty, conditioned crawl space foundation MLS#2078709. 4303.